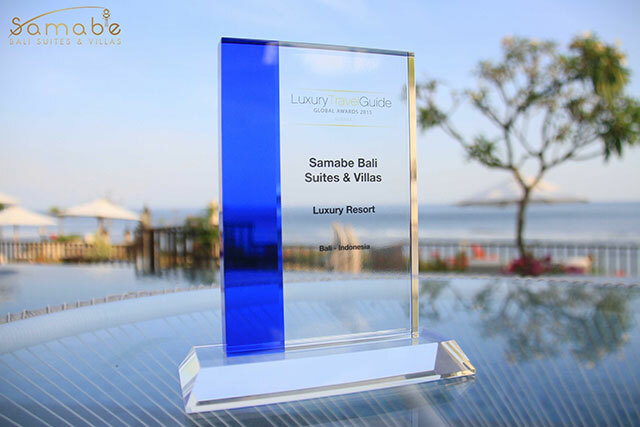 Presented as a winner of Luxury Travel Guide 2015, Samabe Bali Suites & Villas is named as the Luxury Resort among thousands hotels and resorts in Asia. "On behalf of Samabe Bali Suites & Villas, I would like to thank our valued guests and partners for its continuous support. Without their acknowledgement, we will not be acclaimed as one of the best luxury properties in Bali or in Asia. The crystal award is dedicated for them" Said Mr. Luthe, the General Manager. He added that the appreciation will not stop Samabe to deliver its best to its guests. Luxury Travel Guide provides objective opinion over holiday destinations from hotels, spas, entertainments for its visitors and readers.